As one of the biggest movie openings in years, the new Star Wars is inspiring everything from marathon screenings to symphony performances. 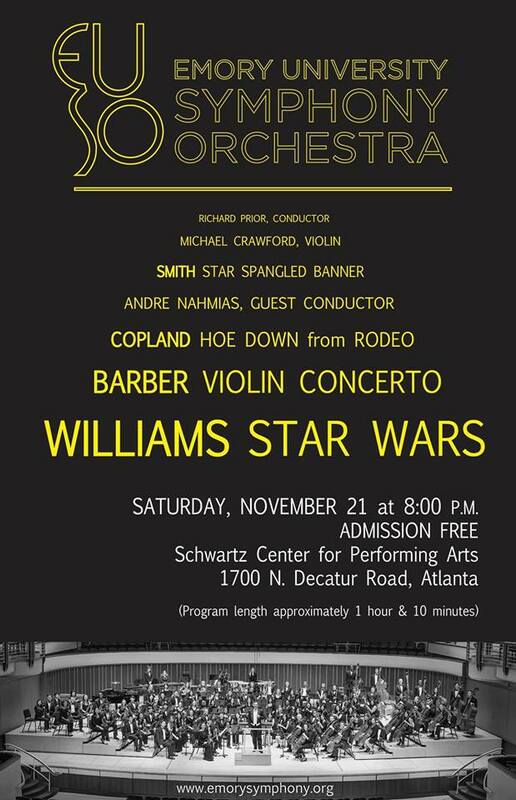 The Emory University Symphony Orchestra is channeling its inner Max Rebo Band for a one night performance of music from Star Wars. Pieces include Yoda’s Theme and The Imperial March. – and featuring the winner of the 2015-2016 Concerto & Aria Competition!